Whether we like it or not, wedding season is well underway. People have a love/hate relationship with weddings. They’re expensive, time consuming, expensive, and...did we say expensive? The average American couple spent $33,391 on their wedding in 2017, with an average guest cost at $268 – an all-time high. But! Weddings are also amazing, emotional, beautiful parties that celebrate the people that you love. And, they’re an absolute blast. And the best part of the wedding? The reception. 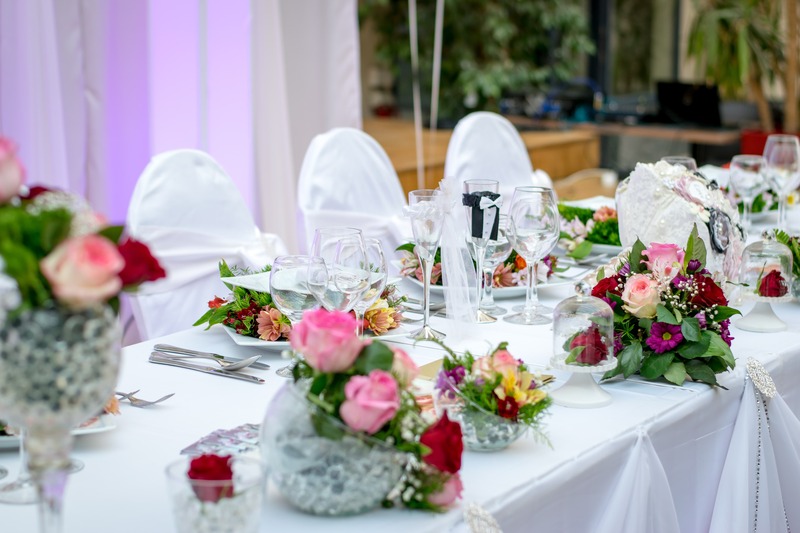 So, let's talk about how your business can benefit from hosting a restaurant wedding reception and what steps to take to make it happen. Farms, barns, and ranches (increased from 2% in 2009 to 15%). Historic homes (increased from 12% in 2009 to 14%). Beach houses, wineries, rooftops, museums, and parks. And what types of venues decreased in popularity? Banquet halls (from 27% to 17%). Hotels and resorts (from 18% to 12%). Country clubs (from 13% to 10%). So what can you, as a restaurant owner, do to make sure your business makes the cut? In the same xo group article, the number one most important quality for a venue is cost at 72%, followed closely by “overall look and vibe” (69%) and “personalization: planning a wedding that’s a true reflection of who they are as a couple” (64%). So, it really shouldn’t come as a surprise that barns and farms were high on the venue list last year. But that doesn’t mean that your restaurant is out – especially if you're known for your look, vibe, and willingness to personalize. What's better than that? 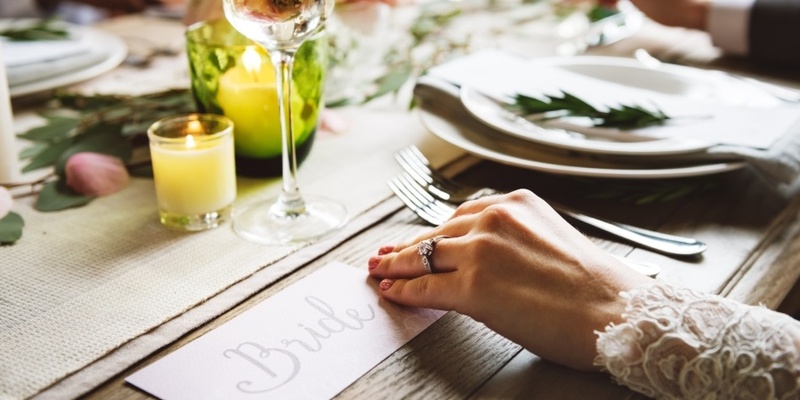 WeddingWire surveyed over 800 weddings guests and found that food was the most important thing for a wedding-goers at a whopping 64%, followed by the bride’s dress, music, vows, decor, and bar. And according to xo group, 72% of couples say wow-ing their guests is the most important thing. Since food is so important, your restaurant is definitely not out for the count as a place to host a wedding reception. "But my restaurant can't host a wedding reception!" I’ve worked at two separate restaurants that have hosted wedding receptions. The first was a small plates restaurant with an artsy vibe, and the other was a hipster bowling alley that served organic pizza and drinks. Both times, I walked into the restaurant I worked in, but it felt different. The small plates restaurant was transformed into a large opening space, while the other was suddenly bright and airy. Both of these couples had been regulars at these restaurants, and picked the businesses to host their weddings because of it. But, they were able to put their own look and feel to the place. So, where can you, as a restaurant owner, come in and wow both the couple and their guests (who, keep in mind, could be future customers of yours!)? By keeping in mind personalization with the three big things. The easiest way to navigate the logistics of helping a couple plan their wedding? It’s definitely setting up an inquiry form on your website, or having a set of pre-planned questions for over the phone. Where are they both from? The more you get to know them, the more you have the opportunity to wow them when the pre-planning comes. Is it to have a full blown five-course, sit down meal with organized speeches and toasts? Or do they want more of a relaxed vibe, with a buffet and fewer tables? These situations are obviously important from an inventory perspective, but also helps you prep for staffing. Did they just get engaged and want to have a whirlwind wedding, or is the want to take their time and really think it through? As a restaurant owner, you have the ability to make either of those things happen! Just keep in mind the time it might cost to order special inventory – whether that be extra silverware, special platters, or more champagne flutes. Remember all those questions you asked about the couple? You can use that information to really blow them out of the water. This is on almost every “How to personalize your wedding” list I researched. What better way to help the couple celebrate than help them create a unique drink with their favorite alcohol? Have them sit down with your bartenders for a complimentary drink tasting. The 1:1 time will feel special for the couple, and let them know you care about their day. Another idea is to give them bottles of wine from the years they were born, or from the year they met. The small, extra touches go a long way. Known for your famous southern cooking or award winning appetizers? It’s probably why the couple picked your restaurant. If possible, do the same as above with a tasting. Chances are, they already know your food and menu, but another 1:1 time with your chef or someone from your kitchen staff to go over special items or dishes will add another personal touch. Use their answers from your inquiry to maybe create unique things for the couple. The groom is from Philadelphia but the bride is from Boston? Suggest maybe a Philly cheesesteak & lobster roll platter. There’s a pretty solid chance the couple reached out to you because they already like the vibe your restaurant gives off, but giving them the ability to make it a little more “theirs” can only add fuel to their fire. According to a 2017 report by The Knot, 40% of couples say the majority of their budget goes towards said “fun reception amenities” such as photo booths, sparklers, games, and music. Centerpieces are an incredibly easy way for restaurants to let the wedding couple bring in their own flair. And most likely, this is something that they can take care of their own. 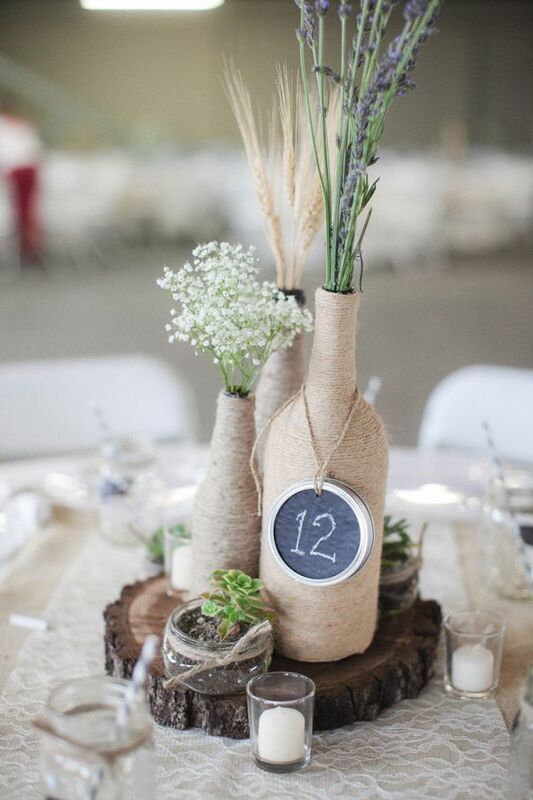 It’s still handy to have the numbers of floral arrangers or keep your old wine bottles just in case. Have a patio? 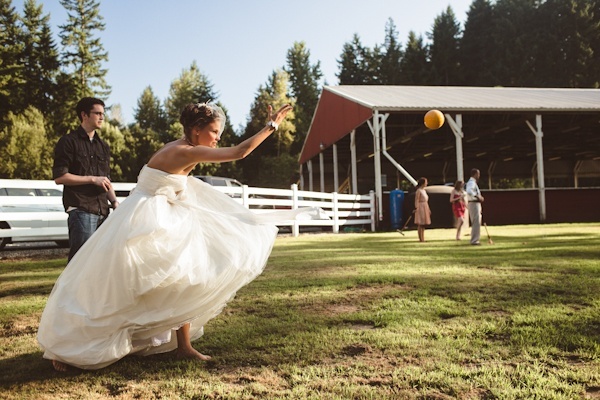 Let the couple know they can bring lawn games, or purchase some of your own to always have on site. Photo booths are great, but they’re rarely in restaurants. Unless the couple decides to order one, take advantage of an empty wall you already have and work with the couple of up the creative ante. 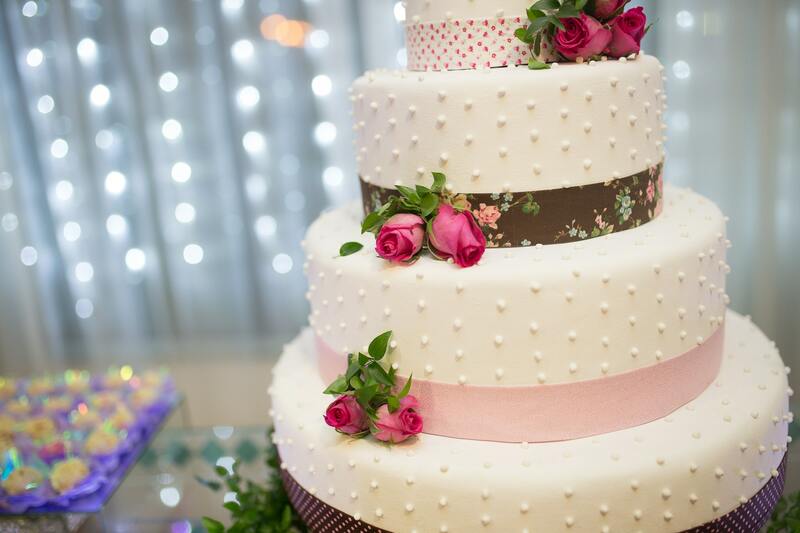 Interested in hosting a wedding reception, but not sure how to get the word out there? Here are some things you can do to make sure your restaurant is top of mind. Website marketing: Feature the fact that you host weddings on your website, so when couples search “[your city] wedding venue”, your restaurant pops up. Customer reviews: Already hosted a wedding? Ask the couple to write a testimonial. Want to host your first wedding? Ask your favorite regulars to give your food, drinks, and decor rave reviews (this will come will be important later). Social media: Promote your restaurant as a wedding venue on social media sites like Facebook, Twitter, and Instagram. 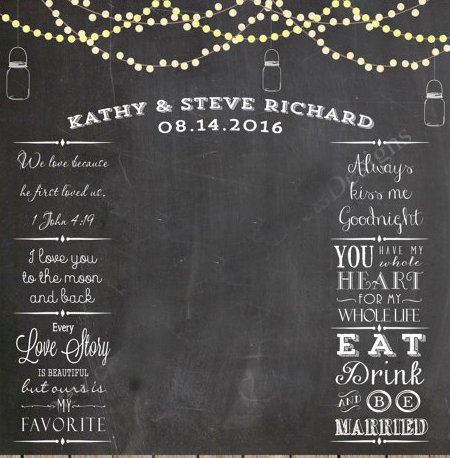 Below, Flatbread Somerville congratulates a couple that chose to celebrate with them – thus making their followers aware that they host wedding receptions! Referral partners: A great way to get the word out about your restaurants to potential couples is to ask others spread the word for you! Tell your local liquor reps and food distributors that your restaurant hosts wedding receptions. Attend a convention: There are wedding conventions happening around this country all the time. Rent a booth to show prospective clients what you have to offer. Bring out some inquiry & questionnaire sheets, cook up a few apps, and print out some photos of your venue to see the couples start rolling in.